Today we go live with Ametron Truth Sacred Sounds. Easter Sunday, the day of resurrection. Week 56 - 56 is the Sacred Numerology of Ametron Truth (and also of LUXOR Light - twin energies). The purpose, the mission, the destiny. This is a very high frequency that communicates through the higher mental faculties. Today's vision was of God-like beings in the Heavens, overseeing and yet beckoning us to merge. These beings are our Higher Selves trying to communicate not as separate entities but as One. You are asked to merge to coming into your Higher Self, to recognise separation so you can know Oneness. Following the visions of the god-like beings, was an eagle that morphed into the buzzard/vulture and he was carrying a beautiful ball of light. The Vulture asks us to honor the service, no matter how big or small, that you offer humanity. Every little bit counts to make up the whole. to honour this service you must be merged with your Higher Self, you must come as One and anchor that light into the world. The eagle asks you to stretch your limits, don't accept the status quo, but reach higher and become more than you believe you are capable of. Look at things from a new, higher perspective. Be patient with the present; know that the future holds possibilities that you may not yet be able to see. You are about to take flight. Resurrect into your Higher Self and bring the new light with you. The Master always Returns. Last week we were closing March with the energies of Regeneration. How well did you do last week? I share with you, the message for the previous week, so you can see review before we enter April, our Fourth Month, the Month of the Heart. We are set to receive some big codes for the energies of the Heart and how to focus those heart energies. Each Monday we have a live session to receive the Sound Codes to activate the Codes appropriate for each week. April holds the them of the Heart, so the 5 sessions that come through for April will be very Heart Opening. If you would like to join us please connect with us Here to Join You will be invited to our Zoom video class and I hope to see you there soon! This is not just any healing, but activations of Higher Frequencies connected with the Divine Purpose of the Etheric Temple of Luxor and the Ascension Master Serapis who is known as “The Egyptian”. Serapis had many embodiments in Egypt for many lifetimes and one of his incarnations was indeed as Amenhotep III who built Luxor Temple. How can these activations help you? The temples of Egypt carry codes embodied in their very walls. Subtly you receive these codes as you pass through the temples. Where the temples are still energetically active you can receive the energies as they merge with your energetic field. The Hieroglyphs and reliefs are also speaking to you in a hidden language beyond what the eyes can see and read and beyond what guides can tell you. ChristinA is a clear channel for her Higher Self, Ametron, and she carries forth the gift of the Ancient Language of Light that was used in Ancient Egypt and beyond. She also carries the language of the Star System Sirius and the combination of Sacred Languages of Light awaken sleeping gifts within us. Many of us are code carriers, but these codes lay dormant until activated. The codes need to be sound activated and this is the gift that ChristinA carries. When receiving healing or sitting in meditation with ChristinA, sound codes come forth to awaken that which is ready to be awakened in you, so you can embody more of your true purpose. If you cannot come to Egypt to have an in-person session with ChristinA you can still receive the codes through a personal Sacred Site Remote healing. If you have been drawn to Egypt, you can safely say, you have been here before, lifetimes ago. Maybe many lifetimes were spent in Egypt. 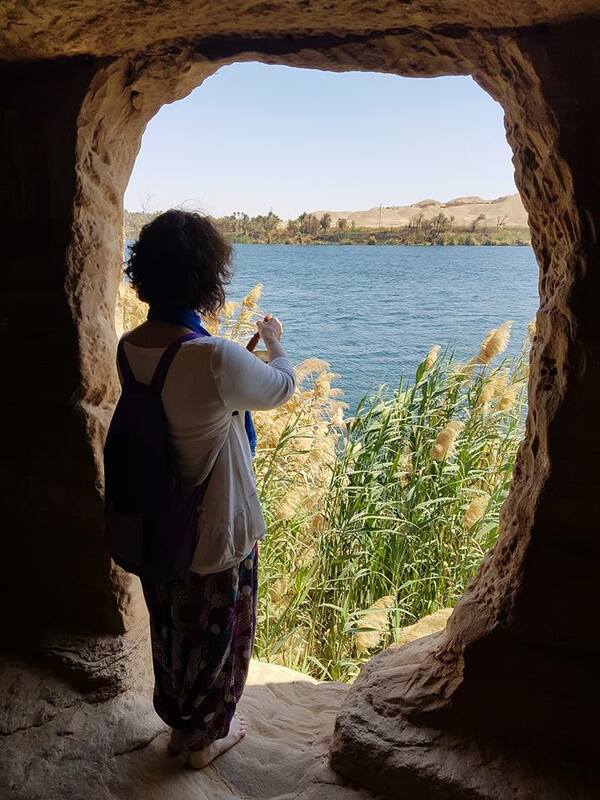 If you are drawn to connect with Egypt, you are drawn to reclaim lost pieces of your soul that you are ready for now to fulfil your purpose this lifetime. But, not everyone can manage a trip to Egypt, so through ChristinA’s unique gifts you are still able to receive the energies, and codes that are relevant to you. ChristinA works closely with the Ascended Master Serapis, overseer and Master of the “Etheric” Luxor Temple, the temple of Ascension. She is at home at the foot of Thoth Hill, in New Qurna, West Bank, Luxor. ChristinA carries the Codes of Thoth, the Sound Keys of Enoch, the Language of Hibiru, which was the first language to come to Earth and is sometimes called the language of the Angels. This language was spoken by the Masters and in times such as Ancient Egypt and Mesopotamia. She also speaks in the clicking language of the Star System Sirius which is very significantly connected with Egypt and the ancients. She speaks the Sirian Masters strange dolphin language and the frequencies that come through ChristinA carry forth the energies of Isis, carrying the wisdom of the Divine Feminine now awakening in all of us today. But that is not all, ChristinA also channels the 3 Sacred Sounds of God that were also ushered in during ancient Egyptian times by the Creator Gods, specifically the God Hu. These 3 sacred sounds call forth the divine feminine, the divine masculine and the third flame sound that unites them as creation itself. Each sound comes with a unique purpose for each individual and when all three come together united as One sound, magic really does happen… Creation is formed within you and the Creator aspect of yourself is activated. So, why should you choose to experience a Visionary Distant Sacred Site Healing and Activation Session with ChristinA? Because you cannot get it anywhere else! And, because these sessions can awaken you to greater aspects of Self! Each site has a different fee depending on how far ChristinA has to travel to the site, price of entrance tickets and tips to the Temple Guards. Hathor was known as the sky goddess who nourishes us spiritually with the celestial energies of divine love and ecstasy. Her earthly energies then anchor as the Goddess of divine ecstasy of fertility, sexuality, and love. Hathor is the embodiment of feminine possibilities and strongly awakens the power of the divine feminine. 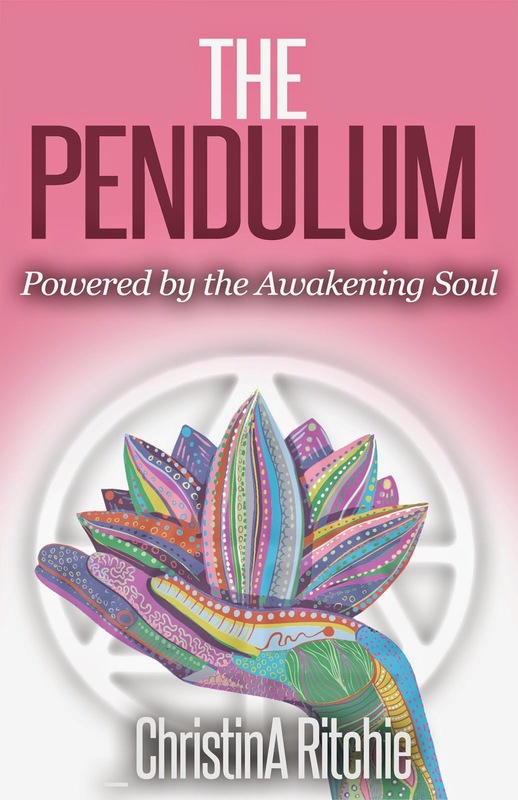 True wisdom is awakened when we awaken and activate the feminine within. She was known as ‘Lady of the Stars’ or ‘Sovereign of Stars’ and she is linked strongly with Sirius along with Isis and Soptdet. As ‘the Mistress of Heaven’ Hathor was connected with Nut, Mut and the Queen. And as ‘the Celestial Nurse’ She nursed the Pharaoh in the guise of a cow or as a sycamore fig (because it exudes a white milky substance). As ‘the Mother of Mothers’ She was the Goddess of women, fertility, children and childbirth and held power over anything having to do with women from conception or childbirth, to health and beauty and matters of the heart. Holding the balance of both masculine and feminine energies, she was worshipped by men and women and unlike the other gods and Goddesses she had both male and female priests in her temple. This brings with it the purpose of balancing the divine masculine and feminine in their purity of purpose. A healing and activation from Temple Hathor will help with balancing and aligning both masculine and feminine energies and connecting your more deeply with the divine feminine and the goddess that you are incarnate on Earth. This will also enable you to heal the issues of the feminine that create a rift between twin flames. As above so below. · Full written report of the alignment your chakras and energy field in relation to the balanced masculine and feminine. · Recorded personal encoding to awaken and align you with the Temple of Hathor. 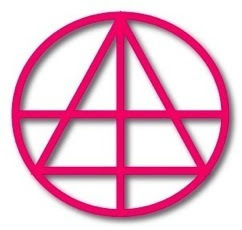 · Activate any latent codes of the Divine Masculine and Feminine. · Photos of any specific Temple Wall Reliefs that reveal appropriate to your healing, so you can use them for your own subsequent personal meditation. · Instruction on how to unlock the energies of the photo. Receive the Activation Sound Keys and Codes to awaken and activate the New Light Codes being sent to us from the Spiritual Sun . 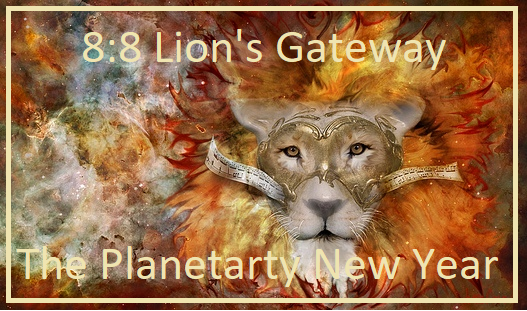 The Planetary New Year begins when the Sun passes through the Leo constellation during a connection between the star Sirius, the Great Central Sun, Earth’s sun, Earth’s grid point, Orien’s Belt, and the the Great Pyramid of Giza. I look forward to seeing you in the Live Video, but don't worry if you can't make it at 7pm Perth, Western Australian time, the meditation will be recorded and sent to you. register Here now and you will be directed to the payment page.